Loosen and tighten bolts, fix a leaky faucet, tie a fly, open a paint can, or just sit back and peel an apple! Constructed from solid stainless steel with classic woodgrain grips. Includes nylon pouch with 12 of the most popular tips. Stretches 7" overall. 4 1/2" closed. Great Tool for the money! I bought a set for my fishing tackle box,while fishing in Puerto Vallarta a friend saw them and liked them,so I sold them to him he in turn showed his friends who take you out fishing, they all want a pair for on their Panga's they like all the extra tools they use to work on reels or engines taking them down in April!! I ordered 2 for Christmas presents, once I saw the quality of them, I gave 1 as a gift. Love it. Man sized tool. Easy to hold & use unlike most other brands. Really handy 1\4" drive for sockets & bits, never seen that before on a multi tool. Got my buddies one too, they loved it. this is the best multitool ive bought. it fits my hands(ive got large hands), its comfortable, rugged, and has every attachment i need. 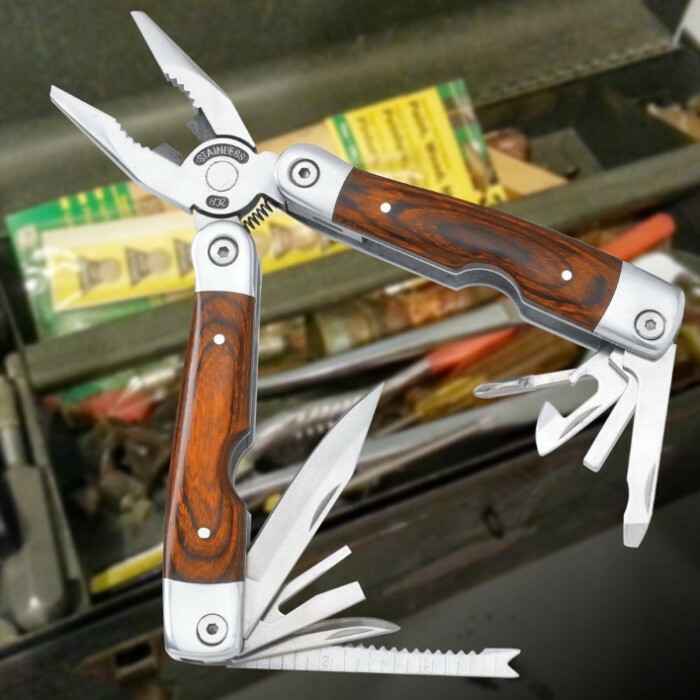 I have been carrying a multi tool for many years. Mostly a leatherman. The undertaker is a much beefier tool. It has many of the same features plus a variety of attachments. The wood handle is a very nice feature and fits the hand well for a firm grip. All in all it is a good tool and I would buy another. Very good value for the money. 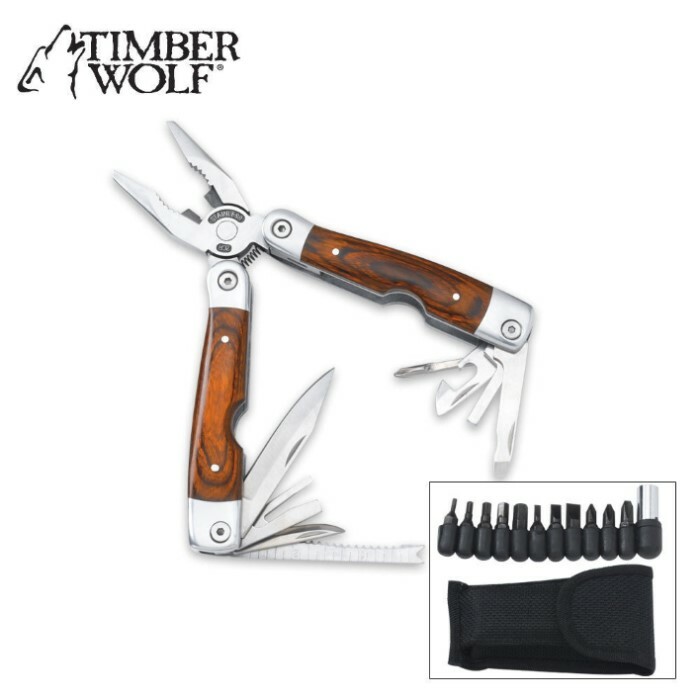 Handy + Versatile Quality Made Multi Tool Is Perfect Size To Get The Jobs Done ! It Rivals Those Costing Much More ! Top Notch Tool At An Amazing Price ! I Bought An Extra To Give To A Friend ! Handles Most Every Task Easily ! Highly Recommended ! ?????????? This multi-tool is heavy duty. I bought on sale with free shipping. I really wasn't expecting the quality of this tool. Nice wooden handles and everything fits together very well. It will come in very handy around the farm. Shipping was very fast. Thank you. I haven't been disappointed with any of chkadels or kennesaw products yet. Exceptionally attractive and very sturdy! With all the attached 'tools' that come with it, this is the definition of a tool kit in one handy pouch. Highly recommend!